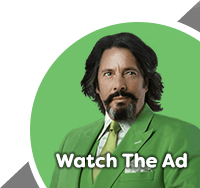 Buying a toilet seems like a simple task until you actually come to do it. With so many different close coupled styles available choosing the best one for your bathroom can feel like an overwhelming task. 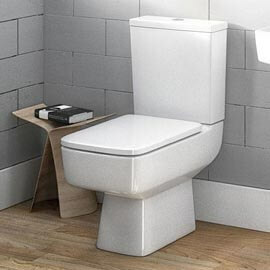 If you're reading this buying guide then you're more than likely interested to find out more about close coupled toilets. 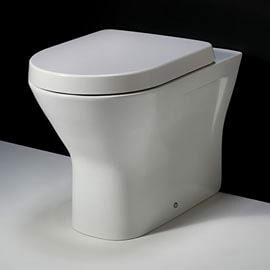 A close coupled toilet is a combination of a toilet pan and cistern which are joined together or have a very small gap between them, hence the term close! 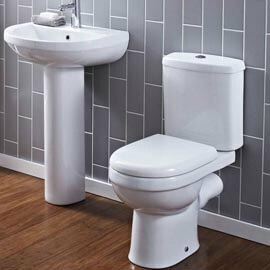 Close coupled toilets come in modern and traditional styles. Modern: Perfect for modern bathrooms, modern close coupled toilets have clean lines which give them their contemporary feel. 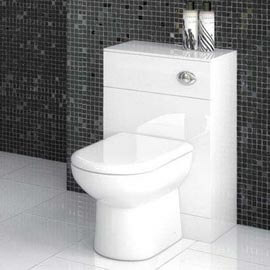 Traditional: A traditional bathroom can be completed with a traditional close coupled toilet. 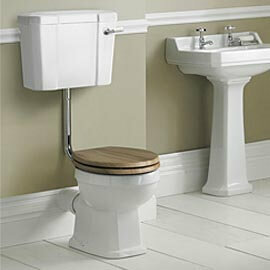 These classic styled toilets offer the authentic look without having high level cisterns. Back To Wall: Back to wall (BTW) close coupled toilets sit neatly against the wall. They conceal all the pipework at the back of the toilet offering a neater finish. 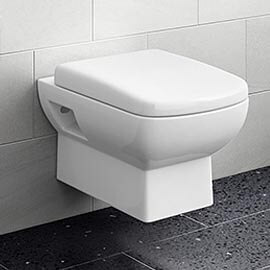 Open Back: An open back close coupled toilet doesn't sit flush to the wall. It leaves the waste pipe visible but also makes maintenance simpler. 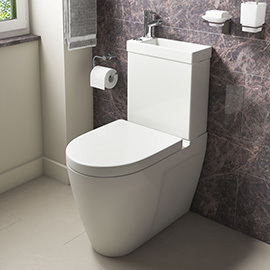 What You Need To Know About Close Coupled Toilets? Toilets with a close coupled design are probably the most common in the UK. 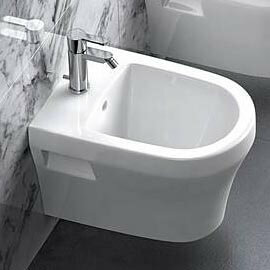 They save space and look neat and tidy which makes them great for small bathroom spaces. Most of them come with dual flush which helps save water too. 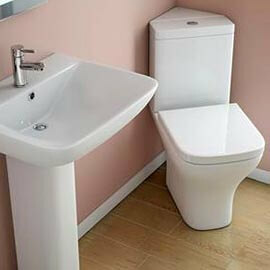 For example, you can choose between a 4 litre flush a 6 litre flush for different needs. 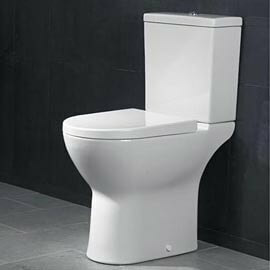 When you buy a close coupled toilet you'll always get the cistern and pan together. They come with either a button flush or cistern lever. In most cases they'll come with a seat and a fixing kit too but not in every case. If your close coupled toilet hasn't come with a fixing kit you'll need to invest in one of these. They're not expensive but you will need one. A toilet seat is essential for comfort so if your close coupled toilet doesn't come with one you'll need to purchase one of these separately. Prices start from around £12.95. The cistern capacity is the volume of water your cistern can hold and it differs from one toilet to another. 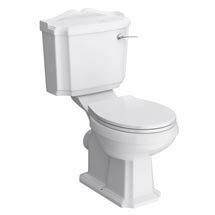 A larger cistern capacity will give you the added benefit of being able to flush the toilet more times before it starts to refill. Perfect for those times when you flush something and then find you have to flush again quickly.